Berry Road Food Co-op hasn't added a story. Berry Road Food Co-op is a not-for-profit grocery store located at 150 Berry Road, Etobicoke, Ontario. As a food cooperative, we are owned by the members who will shop in our store. Our mission is to provide access to healthy, local and sustainable food to Etobicoke’s diverse residents in a way that balances the interest of shoppers, local food producers, workers and community partners. pricing model will ensure that we will have many products available at lower prices than typically found in for-profit grocery stores. Our store will also sell fresh and convenient “take away” meals and products that are normally found in other grocery stores. In addition, we have a great coffee bar, we will host food oriented community education workshops (cooking, canning and food preservation) and collaborate with community partners to improve the health and wellbeing of local residents. We are nearing the finish line. Our 8,727 sq.ft. retail space is ready to go at The Shoppes at Stonegate. Funds have been secured for future rent subsidy and completion of interior space. But as a start-up organization, we need donations to help breathe life into our space. Our FundRazr goal is to raise $50,000. * These funds will go a long way to cover start-up operating costs including training, initial stock, point-of-sale customization, in-store marketing, and to ensure that salary costs are securely backed in our first few months of operation. Please consider a donation, of any amount, and help us create a new local food culture in our neighbourhood with healthy, accessible food options for everyone! Our partner, Vandyk Group will match dollar-for-dollar any personal contributions made during this campaign! *BRFC is not a registered charity and will not be able to provide tax receipts however you can sign up for a lifetime membership on our website and receive ongoing member benefits and discounts! 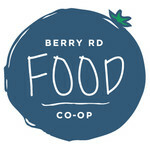 Berry Road Food Co-op hasn't posted any updates yet. Berry Road Food Co-op is managing the funds for this campaign.